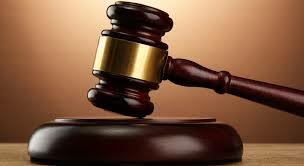 THE High Court has ordered a Bulawayo bus company to pay $60 000 in damages to a family of a Gwanda teacher who was killed in an accident. Mr Rejoice Bhebhe and four other passengers died when the car they were travelling in collided head on with an AVM bus belonging to P&H Investments (Pvt). The accident happened in January 2010 along the Gwanda-Bulawayo road. The driver of the bus, Mr Rabson Sibanda, encroached onto the lane of oncoming traffic resulting in the collision. The ruling by retired Bulawayo High Court Judge Justice Lawrence Kamocha follows an application by Bhebhe’s widow, Mrs Sanele Bhebhe, citing P&H Investments and Mr Sibanda as defendants. Mrs Bhebhe through her lawyers, Phulu and Ncube, sought an order directing the bus company to pay her $180 000 in damages for loss of support following the death of her husband. Justice Kamocha however awarded $60 000. “It is not in dispute that the plaintiff lost support from the deceased who was a school teacher. In addition to his salary, the deceased also made money as a cross-border trader during weekends by buying and selling wares from South Africa. In my view damages in the sum of $60 000 is fair in the circumstances,” ruled the judge. In papers before the court, Mrs Bhebhe said on January 29 in 2010 at about 2.45PM, her husband was a passenger in a South African registered Ford Sierra which was heading to Bulawayo. Mr Sibanda, who was speeding, encroached onto the lane of oncoming traffic as he tried to overtake at a blind rise resulting in the head on with the Ford Sierra. Mrs Bhebhe said the accident was due to negligence by Mr Sibanda. “The accident was caused by the negligence of the second defendant (Mr Sibanda) who failed to act reasonably when the accident seemed imminent. “He overtook at a blind rise and failed to keep the vehicle under proper control, consequently my husband died in the crash together with four other persons,” said Mrs Bhebhe. The bus company through its lawyers, Calderwood, Bryce Hendrie and Partners, denied that it was solely to blame for negligence. “The second defendant was not the sole cause of the accident.